To date, four of our Association's presidents have come from Cork. A native of Limerick, but had a lifelong association with the GAA in Cork city. The only president to die in office, he was a leading member of Cork County Committee during the 1890s, including a ten-year period as chairman. A nationalist and supporter of Parnell, he was prominent in the 1798 centenary celebrations in Cork and was a member of the Gaelic League and Young Ireland Society. He resigned from Central Council in 1895 in a protest over the 1894 All Ireland final. A native of Upton, Co. Cork, Sean was president during the GAA's golden jubilee year (1934). He was a member of Cork county committee for 60 years, becoming a delegate first at 23 and chairman at 27. He was a hurler and footballer in counties Cork and Waterford. A member of Munster Council for many years, he also served a term of office as chairman. He took part in the War of Independence, and was a judge in Dail and Republican courts. He served as a member of Cork County Council for 20 years, and of Cork Corporation for 22 years, was Lord Mayor of Cork 5 times, and a member of Dail Eireann for 18 years. Con Murphy was born in Innishannon, County Cork in 1922. The eldest of seven children, he developed a strong love of Gaelic games, culture and language from a young age. His uncle was SeÃ¡n McCarthy, an administrator with the GAA, who also served as President of the association in the 1930s. In 1976 Murphy became President of the Gaelic Athletic Association, a role which he held until 1978. During his three-year term as President there were many significant developments, such as the official opening of the 50,000-seat PÃ¡irc UÃ­ Chaoimh in Cork in 1976, which he played a big part in the construction of. He also campaigned to the British government on the behalf of Crossmaglen Rangers, whose pitch had been occupied by the British army. During his tenure as President Murphy also had the privilege of presenting the Liam McCarthy Cup to three different Cork men in succession as Cork completed a famous three-in-a-row of All-Ireland hurling victories. 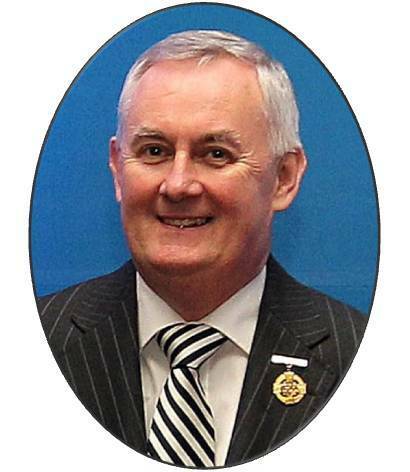 GAA President CriostÃ³ir Ã Cuana is one of the most experienced administrators in the GAA having served in a variety of positions both at county and provincial level before assuming his position at Congress in April 2009 held in Cork. Having followed the footsteps of his late father Paddy into administration at an early age, he worked at every level of his home club Youghal where he also played up to adult level right through from the juvenile ranks. After working at local and on the GPC at divisional level his elevation through the ranks of GAA administration began in earnest after being elected to the position of Cork vice-chairman in 1991. Three years later he was elected to the position of Cork County Board Chairman before filling the role of Munster Vice-Chairmanin 1998. In 2001 he assumed the role of Munster Council Chairman. He has given long service to the association in a variety of different roles and one of his more recent portfolios included that of chairman of the National Coaching and Games Development Committee.